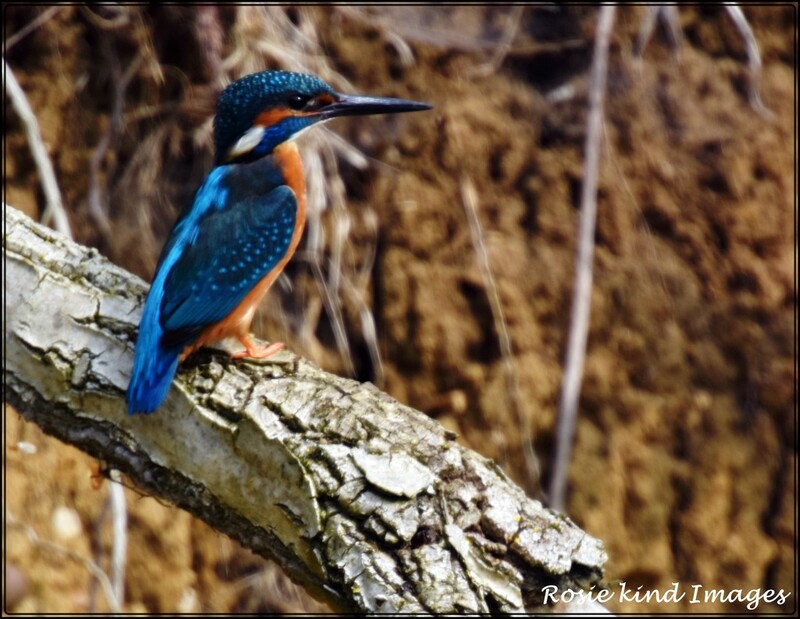 I am overjoyed because I received my Schedule 1 licence to photograph the kingfishers near their nest. I know that I had been photographing them for 2 years previously but Hide man decided that he wanted to sit where I had been sitting and so the Ranger (who's a total a hole) decided that I couldn't photograph them from his side of the brook where he had invited me over the previous year and told me that I hadn't got a licence. Anyway, to cut a long story short, I applied and got my licence and here is Bluey looking as smart as ever. I wasn't sure where to focus my camera as the carnage of fallen trees has made it very difficult to get into a decent position so it was all guesswork and fortunately for me I had one chance to get a photo and it worked! I have been thinking how I could make myself more comfortable as I am now resorting to sitting on the ground wearing all green clothes to blend in with the grass and it's jolly uncomfortable as the ground is so hard due to not having had any rain for ages. I have got a yoga mat so think I will try that tomorrow. Thanks for all your kind comments and Favs and for getting yesterday's photos on PP. It is always much appreciated. So pleased you have your license! One in the eye for Hide man and the ranger! Lovely capture! So pleased you are able to get to see the KFs and take their photos! Good for you Rosie. Lovely shot. Loved that shade of blue! How petty....men can be such babies! Good for you to persevere! Lovely capture! Well done for your patience and hard work Rosie! Wonderful capture and congratulations on your licence. Awesome capture. Why do you need a license just to photograph the birds. Stunning ! Glad you got that license ! @rickster549 They are protected birds and you need a licence to photograph them anywhere near a nest although I had been photographing them in the same area without any problems for the past 2 years! Wonderful, glad you got your licence, but what a palaver, I think I would need a hide!! Beautiful shot and beautiful bird!